Last week, we covered the 20th birthday of the Sega Genesis. The Genesis is one of the best vintage systems there is, and remains popular even now. Sega ran a poll to decide which Genesis game would be released to Xbox Live Arcade, and the poll is over, with ToeJam and Earl the clear winner. It's good to know we have some alien two-player co-op in our future. 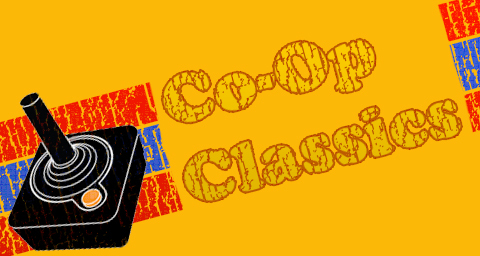 But let's not forget some other quality Genesis co-op titles of the past. This game was suggested by a Co-Optimus forum user, who loved the game so much he uses it's name as his own! General Chaos is a hybrid of sorts, a combination of real time strategy and beat em up. Up to four players could team up, which was rare for the time. Players selected squads of troops to control against the computer in a co-op campaign mode. Humor elements and constant action make General Chaos a standout Genesis title. We all know Sonic, of course. The spiky blue varmint became Sega's mascot, and is still popular to this day. 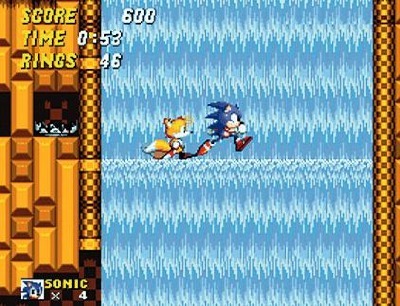 In Sonic 2, the hedgehog was joined by a new character, Tails, a flying fox with two... er... tails. Two could play together at the same time, which was innovative for aplatformer. (Sonic did it way before Mario!) Sonic's extreme speed made the two player mode a bit clunky, but still, sharing Sonic goodness with a friend was a great time. A fine port of the arcade version, Lethal Enforcers came with a fancy blue gun. An on the rails shooter, Lethal Enforcers put you and a friend in the role of cops on the hunt for criminals. Just make sure you don't hit other cops, or civilians! A sequel set in the Old West was also available. The Lethal Enforcers series is one of the most fondly remembered shooters of the arcade era. Page created in 1.0660 seconds.